Cars and trucks are just transportation for some people. But for gearheads, it’s a reflection of who they are. There are several ways to customize your vehicle – suspension, bigger wheels and tires, etc. Tail lights are another option when it comes to making your ride stand out. There are several aftermarket options available but like anything else, they’ll cost you. 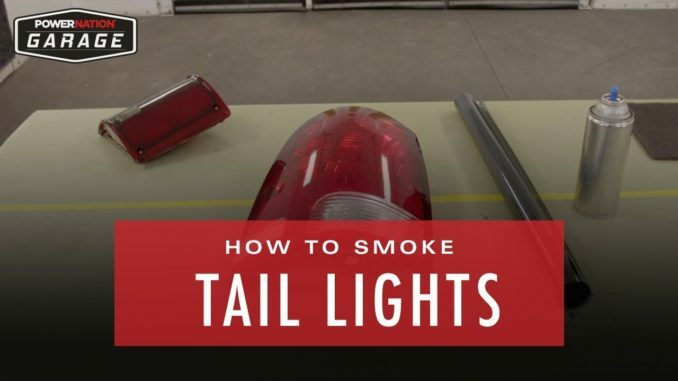 Luckily, if the smoked effect is what you’re going for, you can do this in your own garage. There are many ways to get it done, some easier than others. The same film that tints your windows can also be used in this application although it takes some skill and patience. Another way is to use transparent paint from a rattle can. But there’s yet another option available. First, you want to use a wax & grease remover to wipe down the light and get it clean. Then sand the light down using a gray scuff pad. Back mask the light so the overspray doesn’t get anywhere else. Then give the light a final wipe down with the degreaser. 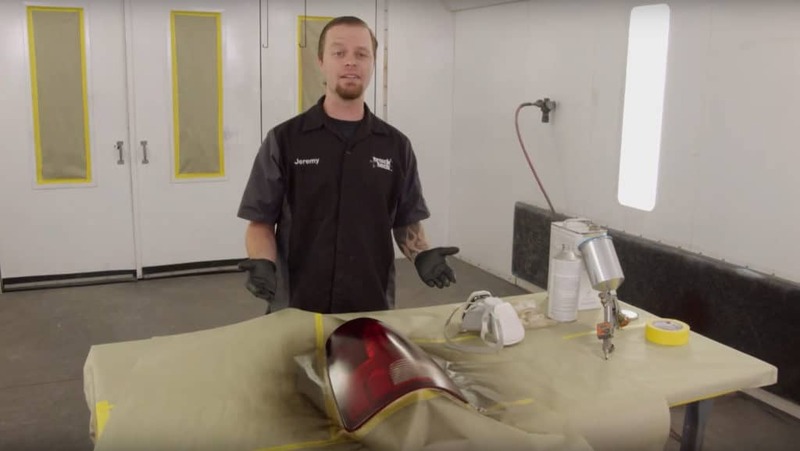 The first substance you want to apply is the adhesion promoter. It’s ready to spray and there’s no mixing required! At about 16 psi at the inlet of the gun, you just need to lay down one even coat, letting it sit for 30 minutes. Next, mix the black with the intercoat clear. Intercoat clear is basically a clear base coat or what is put down before adding graphics. Pour about 2 ounces of clear into a cup. This mixes 1:1 with reducer. Then add about 1/2 ounce of black to get started. Lay down one coat to start with to see how dark it is before adding more, or thicker coats.